FREE delivery to United Kingdom in 7 - 10 weeks. Born from the desire to create a versatile step ladder to fit modern urban lifestyles, Shane Schneck has created in Butler a clever and multifunctional household item. 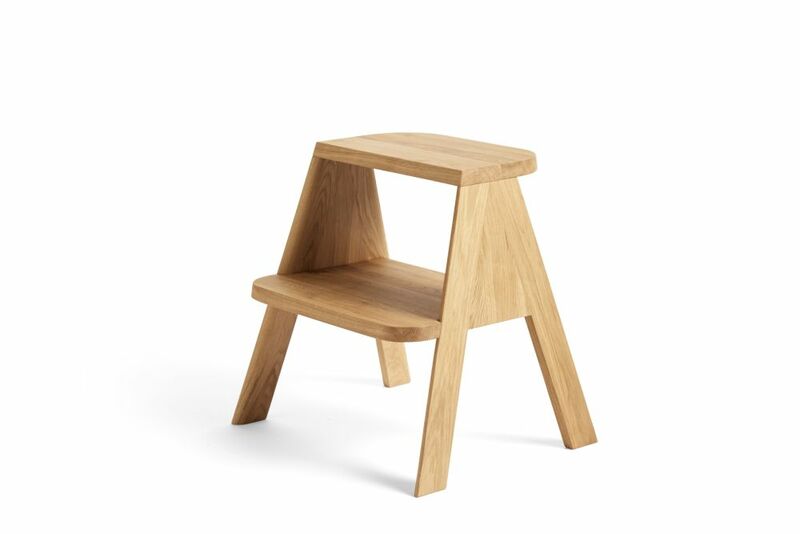 Providing two extra steps when used as a ladder, the larger lower step allows it to be utilised as a side table, stool or bedside bench when not serving its primary function. Crafted in solid oak with contemporary detailing, Butler comes pre-assembled and ready to use. Shane Schneck is an American designer based in Sweden, where he founded his Office for Design studio in Stockholm in 2010. International in his attitude and outlook, he previously lived and worked in Milan with the Piero Lissoni studio. His work has received international recognition, winning Red Dot, iF and Wallpaper design awards. His design ethos is to create simple yet innovative products that challenge industry standards. His products often contain an element of surprise, or are somehow playful or bold in their conception.